The role of IT in organizations is undergoing significant change, driven by the need for businesses to become more agile and have greater control over technology cost levers. This report provides a side-by-side comparison and evaluation of leading multicloud management solutions, with the findings delivered as the Ovum Decision Matrix (ODM). It considers the significance of management in a multicloud and hybrid cloud world and the way in which this influences the way in which technology is deployed, used, and controlled. 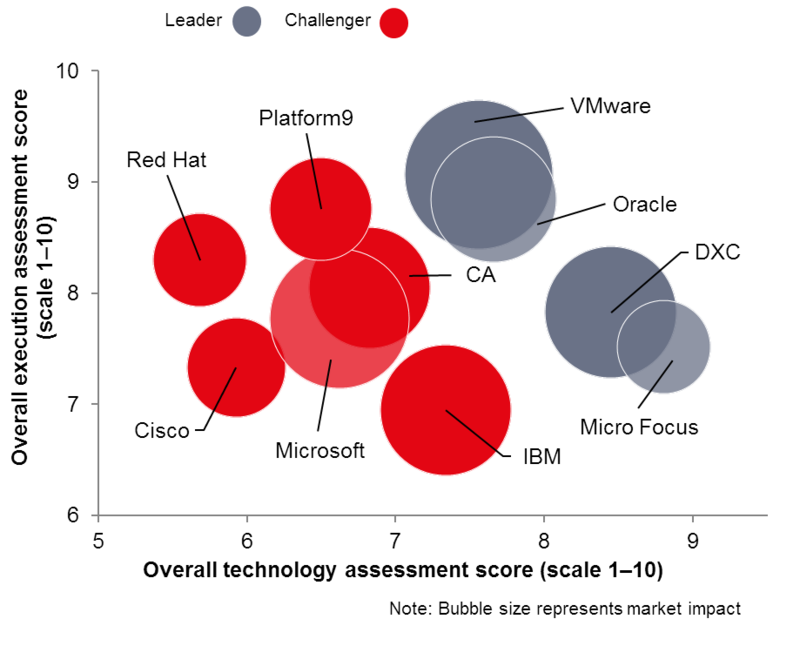 Download the entire report for free and read how Micro Focus scored 13 above-average scores, five of which were category-leading, including one maximum score. And see how we earned the title of technology dimension leader with a top score of 8.8 out of 10. Then let us help you make a decision on transforming your data center in a way that fits your own company’s unique needs.